Planning on holding a raffle in Kentucky? 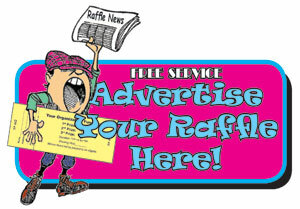 Here’s what you need to know when preparing to have your raffle tickets printed. The tickets MUST have a perforation with matching sequential numbers on both ends. The stub portion of the ticket MUST have a space for filling in: Name, address and phone number. There is no requirement as to the size or the color of the tickets. Additionally, the tickets MUST either be printed by a Resident (Kentucky) Printer or by a business registered to do business in Kentucky. Our affiliate below is registered to do business in Kentucky.